Sign Up for Alerts—It's Free! 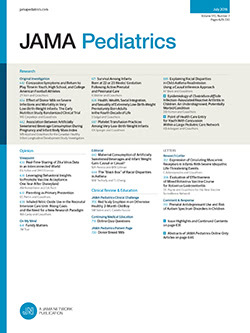 Archives of Pediatrics & Adolescent Medicine offers the ability to automatically receive the table of contents of Archives via e-mail when it is published online. This also allows you to link to individual articles and view the abstract. It makes keeping up-to-date even easier! Go to http://pubs.ama-assn.org/misc/alerts.dtl to sign up for this free service.